Bell has worked for several Formula One teams across his lengthy career but the majority of his time has been spent at Enstone, working for first Benetton, then Renault. He was technical director when the team won back to back world championships in 2005 and 2006, and after a brief stint at Mercedes, he moved back to Renault to become chief technical officer in 2016 for their new works team. 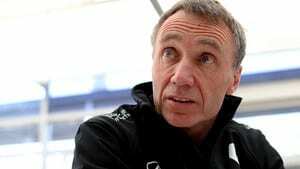 Bob Bell studied aeronautical engineering in his home city of Belfast and made his way into Formula one by joining McLaren in the early 1980s. He worked in aerodynamics and in the R&D department before moving to the then-Benetton team. After a couple of years with the Enstone team, he moved to Jordan Grand Prix at the request of Mike Gascoyne, who he knew from his days at McLaren. After only two seasons at Jordan, Bell returned to Renault, this time taking Gascoyne with him and thus returning the favour. Bell became Deputy Technical Director to Gascoyne, and then was promoted to the Technical Director role in 2003 when Mike left. After steering the team through their successful championship wins in 2005 and 2006, Bell had to wrestle with the drop in performance of the car. When the controversy of 2009 hit the Renault team, Bell was promoted to team principal in the wake of Flavio Briatore's departure. He became Managing Director the following year but left towards the end of 2010. In April 2011, Mercedes GP hired Bell as technical director, and he remained with the team until the end of 2014. After a winter off, Bell joined Manor as a technical consultant but then in 2016 he returned to Enstone once more. With Renault running a works team again, Bell was confirmed as Chief Technical Officer for the 2016 season. 08/10/2010 An Aside with Joe - Clooney, Pitt and Cruise is not a bad start, is it? 16/03/2016 Are Haas heading straight for the midfield?